Though the commotion of newcomers stirred up curious barn dogs, Velvet stood patiently as Alisha ran a comb through his thick, dark mane. Only touch-ups were needed before our Schoolmaster session—Velvet had enjoyed "spa time" earlier in the day, courtesy of a couple of doting lesson children, and his gleaming coat was proof of the love and care he receives every day at Rancho La Rosa in Alvarado, Texas. 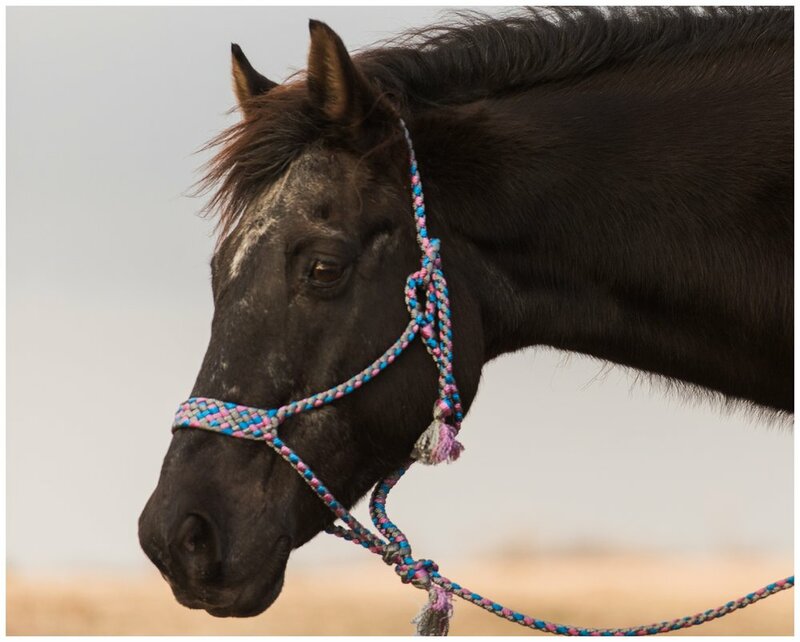 White hairs sprinkled the 30-year-old gelding's face, but his eyes revealed a youthful spark at the crinkle of a treat bag and the faint scent of sweet molasses. 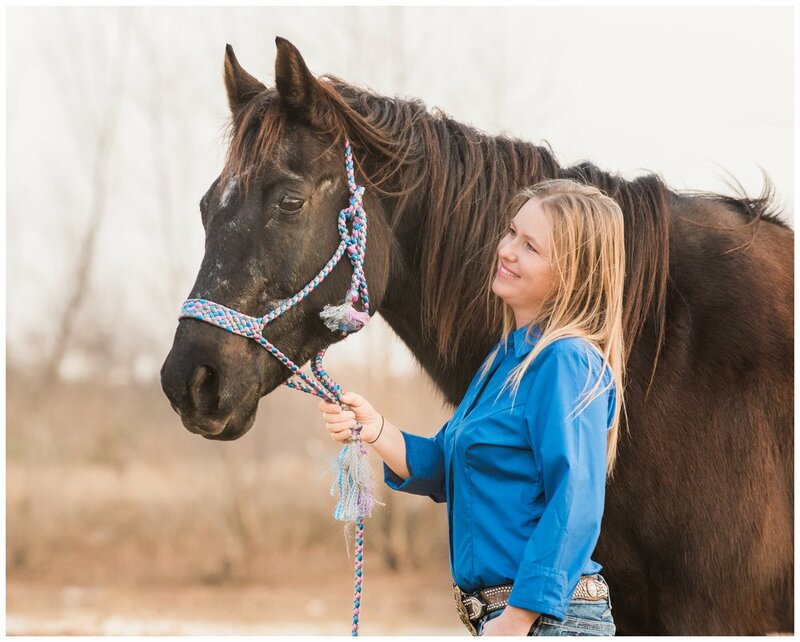 Years ago, Alisha almost overlooked Velvet while hunting for the perfect teacher for her young daughter, and she's beyond thankful she gave him a chance. Once his first rider outgrew him, Velvet's reins changed hands, and another young rider scrambled aboard his back, eager to learn. 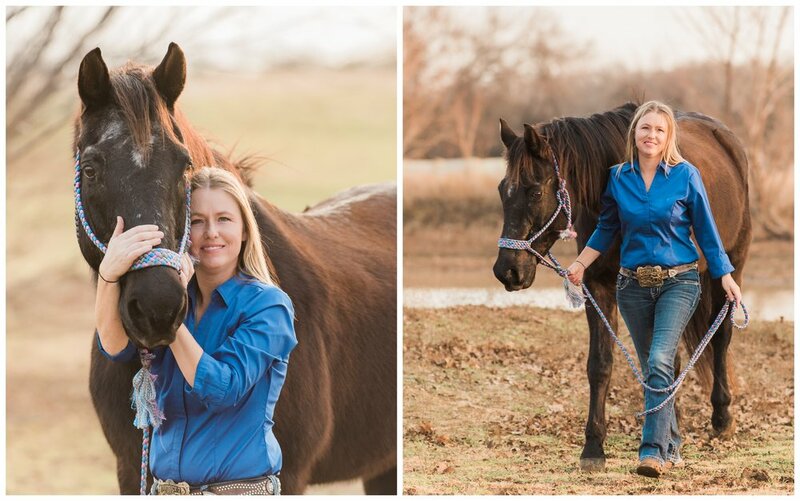 His soft gaits and sweet personality make him the perfect confidence booster, and he thrives in the duty of teaching brand new students the joy of riding and the thrill of the connection built between horse and human. Graduates of Velvet's teachings have gone on to become daring, confident riders—many still rodeo with Rancho La Rosa. Other students no longer ride, but think fondly of their time with the stalwart gelding; a sneak preview of this session caused parents of former riders to share stories of happy memories from their children's time with Velvet and prove that, even if their time with Velvet was brief, he left a lasting impact on their hearts. 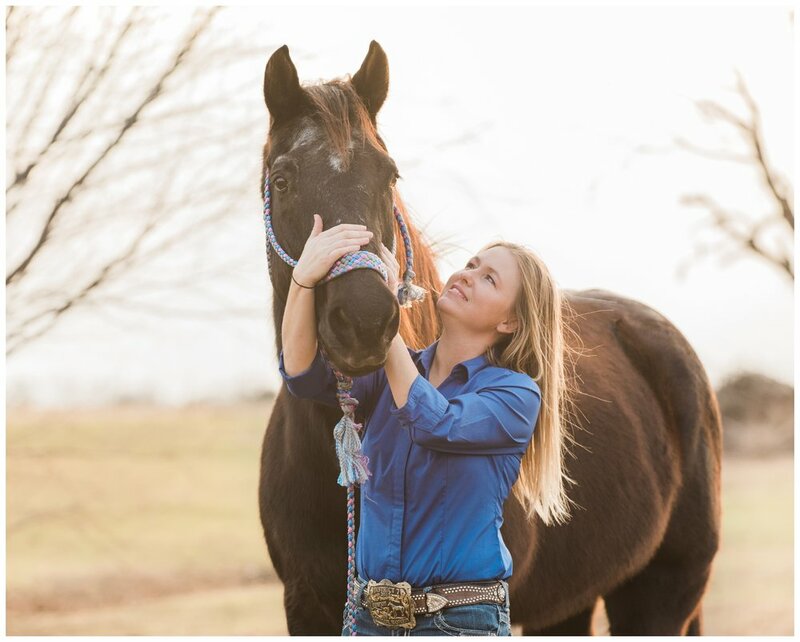 Though he's bright-eyed and healthy for his advanced age, Alisha's cut back Velvet's lesson time to only a few hours a week, but he watches from the pasture and still perks up when a trailer starts loading up. He has a job, a purpose, and he loves it. As with the nature of lesson barns, students come and go. Lesson horses often do too, Alisha says. But Velvet has found his forever home at Rancho La Rosa. The Schoolmaster Project is my ongoing effort to celebrate the unsung heroes of the equine community—lesson horses. Join me in highlighting and thanking these incredible teachers—nominate one today!